Because of its location and its size, the Taylor Yard site offers myriad opportunities to create a multi-objective project that could benefit the collective health of the entire watershed. There are many possible benefits: habitat restoration, water quality improvements, additional flood defense, educational resources, passive recreational uses and wetlands restoration. 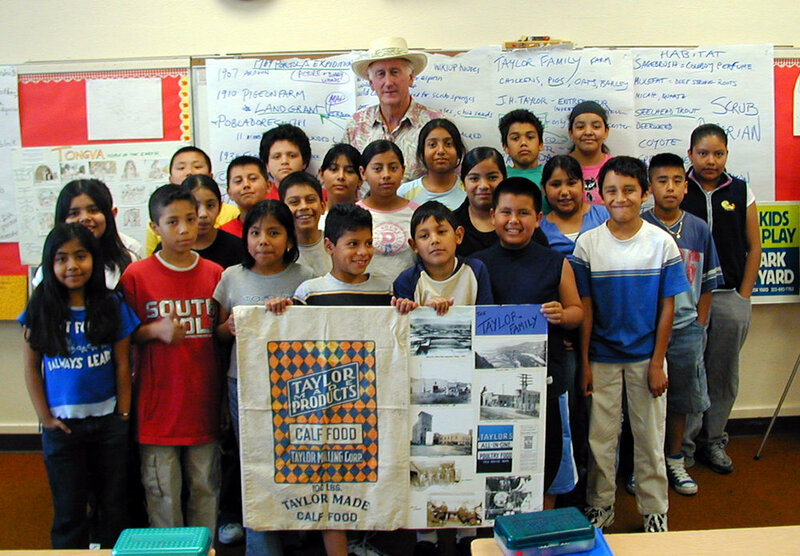 In 2001, the California Coastal Conservancy undertook a major feasibility study on the potential for the Taylor Yard site to accomplish these multiple objectives, with a particular focus on Parcel G. Completed in 2001, the study presented 4 alternatives, with each emphasizing one or two objectives. The first focused on optimizing flood storage while providing riparian and emergent wetlands habitat. The second focused on optimizing habitat diversity, and the third on optimizing upland habitat. The fourth alternative involved relocating the levee and restoring some natural floodplain with a gradient of habitat types to provide direct access to the river edge. In order to facilitate the Coastal Conservancy’s larger feasibility study of the future uses of the Taylor Yard site, we needed to know more about the historic effects to groundwater from years of rail use and the surrounding industrial properties. The River Project was commissioned to undertake a study of groundwater and surface water interactions, monitor groundwater and to construct a digital groundwater model. The model and the data gathered will help to determine what options are available to us in designing a watershed- based project with multiple benefits on the 62 acres of riverfront land. With this information, and current community flood-risk mapping, we can support sound decisions about potential restoration opportunities. 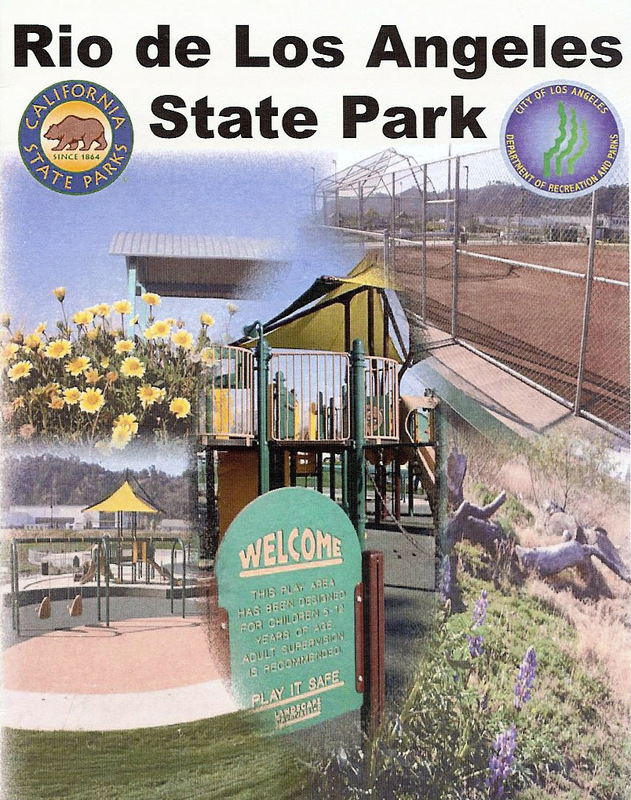 In 2003, the California Department of Parks and Recreation began working with the community to develop the Rio de Los Angeles State Park General Plan and EIR for the site, to serve as a guide for future parkland development. 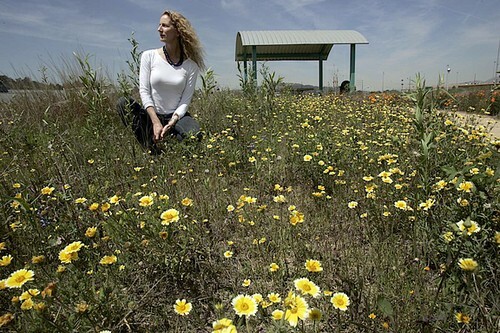 Concurrently, they began a joint planning process with City of Los Angeles to design the first 40-acre phase of the park. The final design for Parcel D that was developed jointly by California State Parks and the City of Los Angeles after more than a dozen community meetings incorporated every aspect originally proposed by the Coalition. 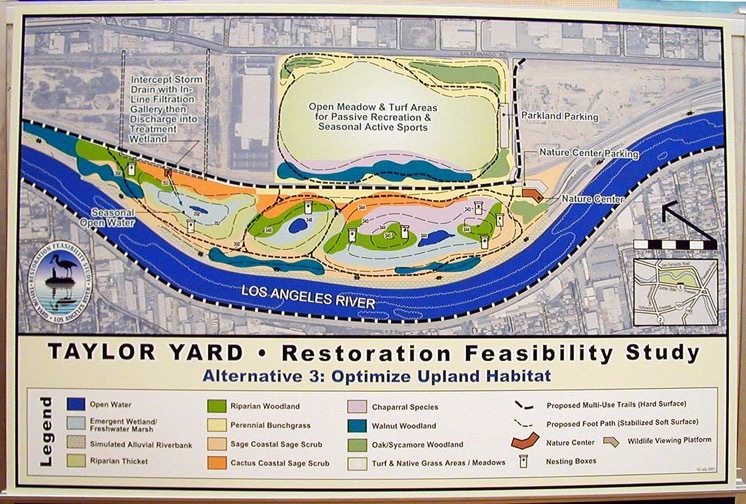 In 2007, the City included a graphic rendering of a potential engineered treatment wetlands for the Parcel G site in their Revitalization Plan.